This new feature will enable quicker and more consistent workflow configuration. Two new default settings are available in Mintent to aid in quicker, more consistent workflow configuration. Configured at the Settings>Organization level, authorized admin users will now be able to define a set of default working days to be used in conjunction with workflow configuration. The default configuration is Monday-Friday, however, users can select whichever working days are applicable to their organization's work schedule. Configured in the Workflow Editor, authorized users will be able to define the default duration of stages for an entire workflow or the default duration for specific stages, as needed. The default duration will be 1 day, unless otherwise specified. 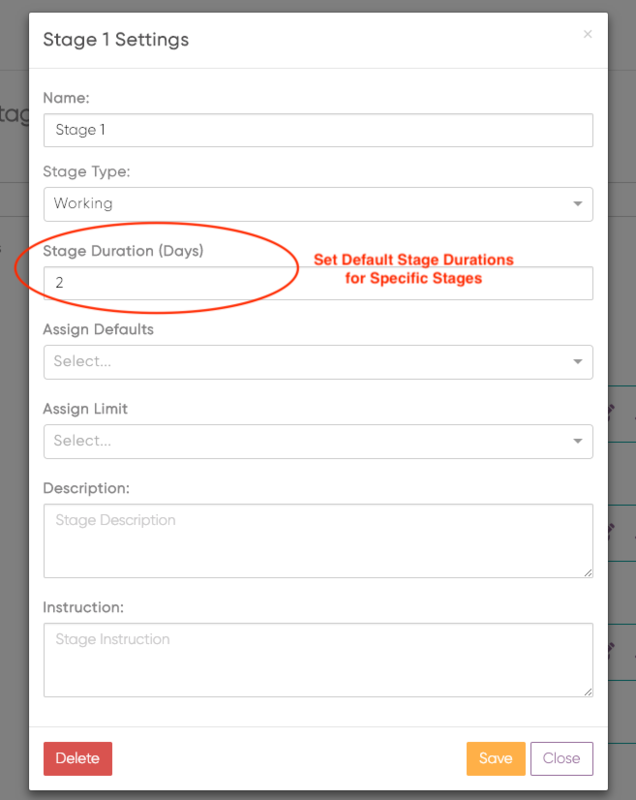 With Default Stage Durations in place, when a workflow is applied to a newly created content item, the stage dates will be auto-populated working backwards from the Target Due Date selected. For example, if the Target Due Date is February 28th and the workflow Default Duration is 2 days, the stage preceding the final stage will be due on February 26th, the stage prior on the 24th and so on. 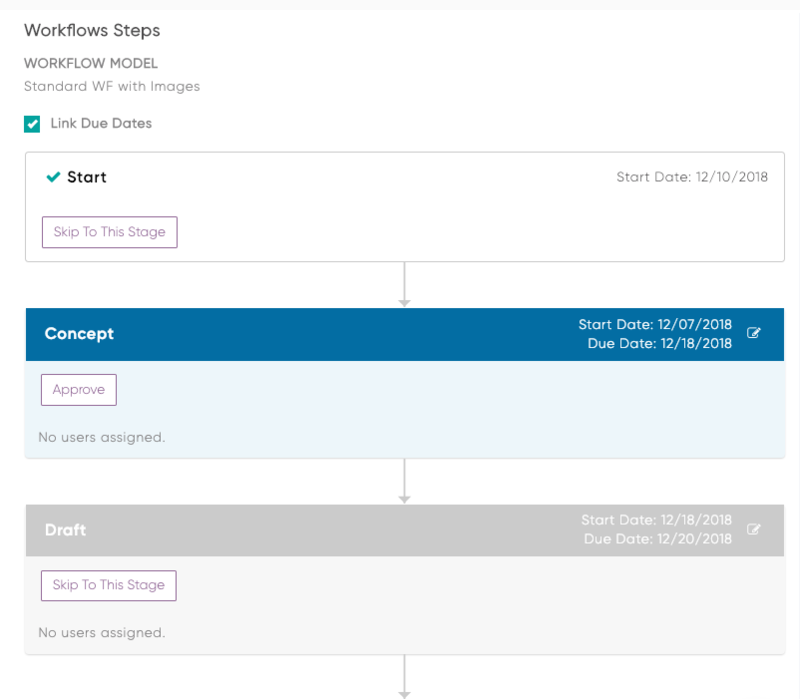 Note: The first stage Due Date will be the same as the Start Workflow date and the final stage Due Date will be the same as the Complete Workflow date. You will also note, the Link Due Dates feature, which appears at the top of a live workflow will be set to "ON" by default. For clarity, both the Start Date and Due Date of each stage will be displayed in the stage. Users will have an opportunity to edit stages and adjust Due Dates if necessary, which will in turn adjust the Start and Due Dates of any prior or subsequent stages based on the defined durations. Error messages will be provided if users attempt to create Due Dates, which fall prior to previous stage Due Dates. NOTE: Start Dates are not editable, are generated automatically based on the set durations and are provided for reference only. NOTE: When applied to live Workflows associated with Calendar Items, Default Stage Durations will skip non-working days. This can be overridden in the live workflow, however, users will be provided with a warning prior to being able to select a non-working day as a Due Date for any stage.